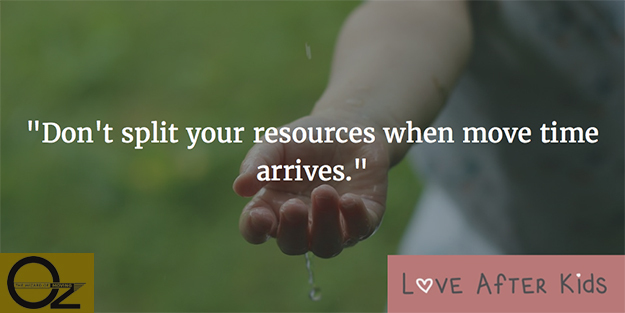 A theme referred to often on my site Love After Kids is the common mistake that couples make when they put their relationships on the back burner to focus solely on the needs of their children. This eats away at the relationship’s foundation, making it harder and harder to sustain. Do not assume that your partner knows what you are thinking and how you feel. This happens all the time in relationships, but the results tend to be much more problematic when it comes to dealing with stressful events like moving. If only one of you meets with the movers to make the arrangements, you’re opening up a lot of possibilities for miscommunication concerning what was discussed prior to the move. Issues such as payment, insurance, your roles, and/or dealing with your building if you live in an apartment and placement of furniture can become confusing. If you start the process as a team, working on it together and committing to staying in consistent communication throughout, you’ll be way ahead of the game. For more info on improving communication in your relationship, read my article on How to Communicate Effectively. 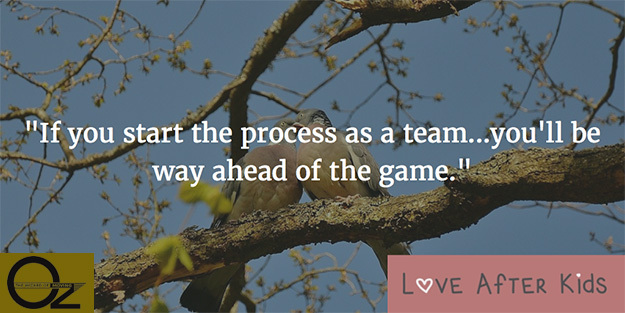 There are factors that will make it challenging to feel like you’re starting on the same team. For example, if you’re moving because of a job opportunity for one member of the couple and the other doesn’t want to move, or if you’re moving to be closer to one family and/or moving further away from another family. These are issues that need to be addressed for the sake of your relationship. If there is underlying resentment that is not being talked about, it will almost inevitably surface during the move when things become more stressful. Again, the goal here is not that you will have everything resolved and tied into a neat bow by the time you move. You should however at least have the issues on the table and be talking about them. Managing a move is like dealing with a toddler that demands a lot of attention. Don’t split your resources when move time arrives. 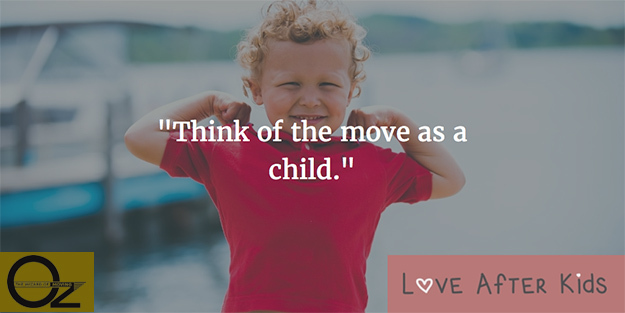 Get sitters or family to be with your kids if at all possible so that you can both be there to oversee the move. Your move is not just a toddler that demands attention; it is a child that demands a tremendous amount of time, energy and physical effort. Moving is a big expense and this can be its own cause of strain on relationships, but trying to do a big move on your own,especially when you have kids, can turn into a comedy of errors. Having moved with kids from London, to New York, to Lima, back to New York, and then to Austin, I’ve got some solid experience with this process. I know how stressful it is and for me one of the biggest ways to mitigate the stress is to outsource and get as much help and support as possible so that my wife and I can stay sane enough to be there for our kids. Couples should consult the support of a moving company like Oz Moving & Storage to help them handle all the most stressful parts of their move. Having help and support in place when your belongings arrive at your new home is just as important. There’s also the possibility that something valuable gets damaged in transit. It may be something that is of great sentimental value to one member of the couple but not to the other. This can be another source of strain if you don’t feel like you’re working together and on the same team. Finally, don’t underestimate how important it is to acknowledge each other’s efforts. 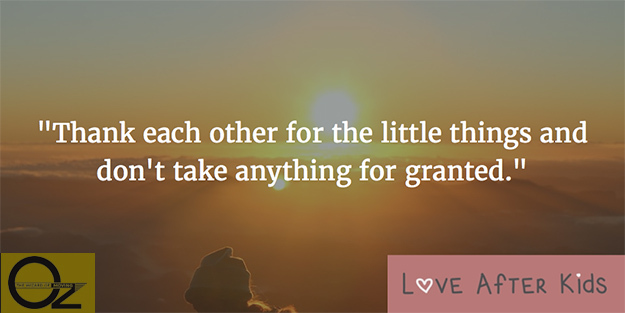 Thank each other for the little things and don’t take anything for granted. It is easy when we get stressed to lose sight of the little things, but it is simultaneously one of the biggest buffers against stress. Remember, like every stressful event, this too shall pass. Be patient with yourselves and with each other. Communicate, appreciate and delegate and you’ll get through it in one piece. Good luck! David B. Younger, Ph.D is the creator of Love After Kids, for couples that have grown apart since having children. He is a clinical psychologist and couples therapist with a web-based private practice, and lives in Austin, Texas with his wife, 11 year-old son, 2 year-old daughter and 4 year-old toy poodle. Like his Facebook Page.